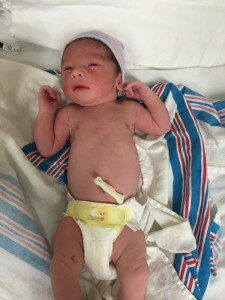 SAN MARINO >> A San Marino Fire Department crew delivered an impatient baby boy inside his parents’ car early Wednesday, officials said. The mother and father tried to rush to the hospital when it became apparent their son would wait no longer to greet the world, San Marino Fire Department Capt. Dominic Petta said. They called 9-1-1 at 6:10 a.m., bringing a fire engine and an ambulance to their home in the area of Huntington and West drives within five minutes. “They couldn’t make it out of the driveway,” Petta said. 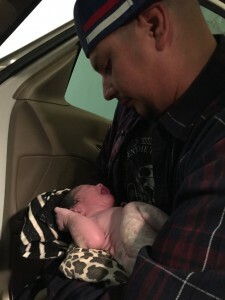 With Firefighter-Paramedic Brian Campbell taking the lead, rescuers delivered the eager newborn in the passenger seat of the family car and had the mother and child on their way to a hospital within six minutes of their arrival, Petta said. Only 14 minutes elapsed from the time the 9-1-1 call was placed to the time the mother and baby arrived at the hospital. Both were doing well. “I commend the medics on scene for their outstanding work,” Petta said. Both parents also did “a wonderful job,” he said. The father came out of the emergency room to thank firefighters and shake their hands at the hospital. San Marino police provided traffic control during the incident, police officials said. UPLAND >> A 31-year-old father delivered his son in the family SUV early Sunday after his wife went into labor while en route to the hospital. Bronson Chavez was born to Vanessa and Hugo Chavez at 1:44 a.m. Sunday in the garage of the family’s Upland home, according to San Bernardino fire officials and the joyful but exhausted father. The newborn and mother rested comfortably at a hospital, Hugo said. Bronson joins sister Emma, 2, and brother Evver, 3, in the Chavez household. Hugo, a lifelong Azusa resident who works as a probation officer, recently moved with his family to Upland. 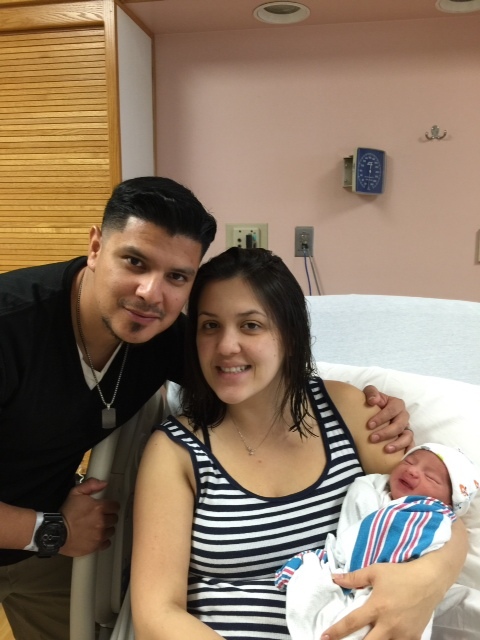 Vanessa was awakened by strong contractions about 1:30 a.m., her husband said. The couple gathered their two children scrambled into their SUV. But as soon as Hugo got the vehicle out of the garage and onto the road, “(Vanessa said) she did not believe she would make it to the hospital, as the contractions became stronger and within one minute apart,” Hugo said. Hugo said he called 9-1-1. The operator told him to continue to the hospital if he was almost there, but to stop and wait for an ambulance if he was not. 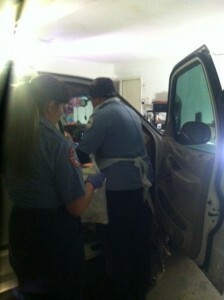 He pulled back in to the garage to wait for paramedics to help deliver the baby. But the Bronson was on a shorter schedule. “In a calm panic, my wife advised there was no more time and the baby was coming now,” Hugo said. Bronson quickly emerged into the world, and his father’s waiting hands. The 9-1-1 operator asked if the baby was crying, Hugo said. Bronson soon let out his first cries. The 9-1-1 operator congratulated the couple, Hugo said. 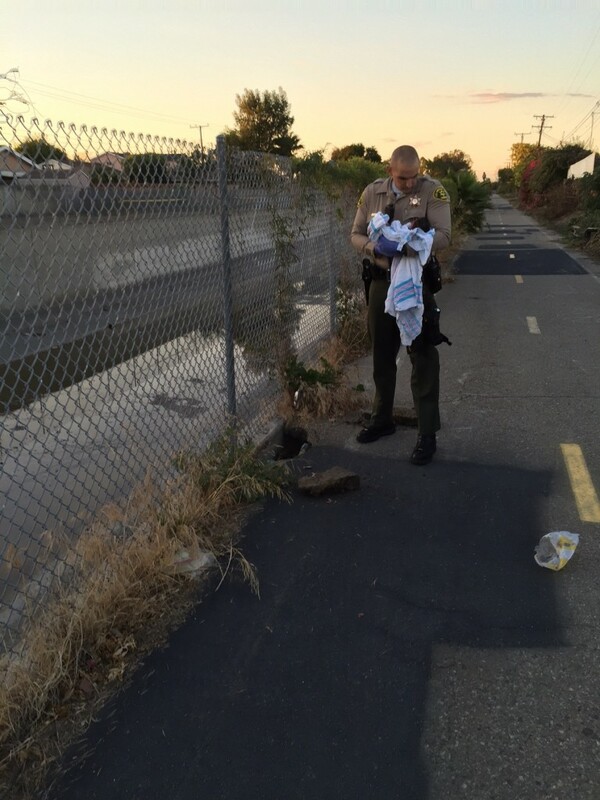 San Bernardino Fire Department Dispatch Supervisor Scott Fanus said a dispatch received the call reporting the impending birth at 1:41 a.m. Records indicated the baby was born at 1:44 a.m., before paramedics arrived. The paramedics who arrived minutes later to deliver the baby were surprised to see the impatient infant waiting to greet them, Hugo said. PHOTOS(Courtesy): From top: 1.) 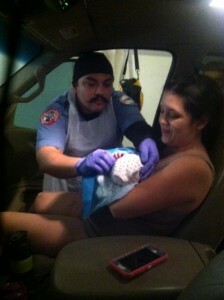 Hugo Chavez, 31, of Upland, holds his newborn son, Bronson, minutes after delivering the baby inside the family SUV. 2.) A paramedics tends to mother Vanessa Hugo of Upland and her newborn son after a sudden birth left the family with no time to get to a hospital. Baby Bronson was delivered by his father in the family’s SUV. 3.) 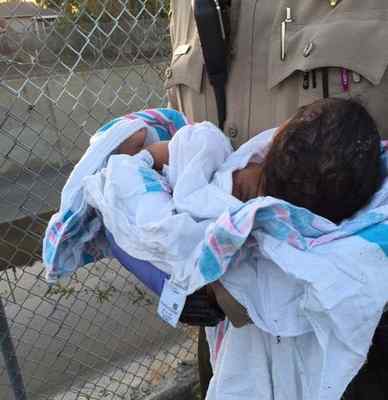 Bronson Chavez was delivered by his father inside the family’s SUV in Upland on Sunday, Feb. 15, 2015. 4.) 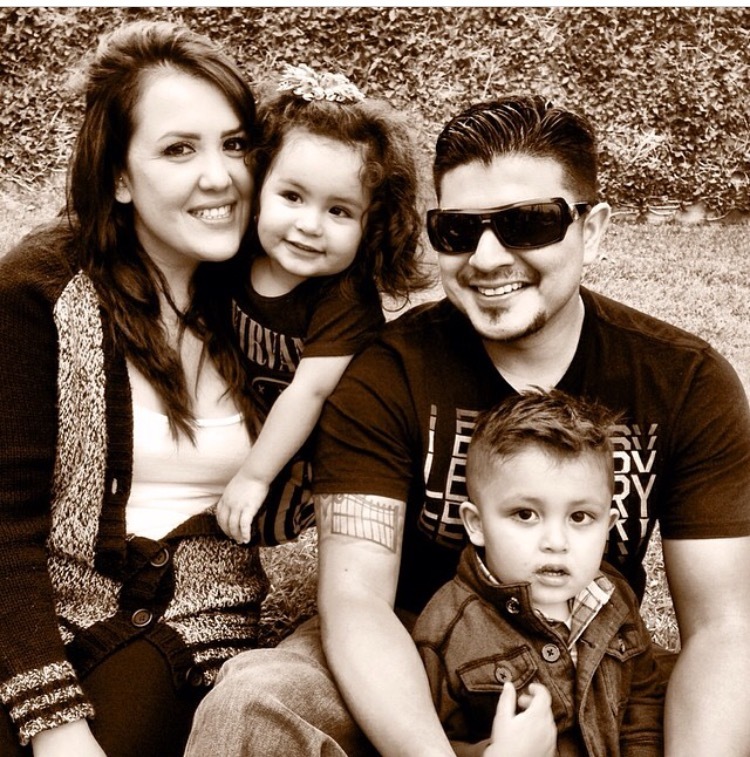 Chavez family members, clockwise from left: Vanessa, Emma, Hugo and Evver. 5.) Paramedics responding to a report of a woman in labor found the baby’s father had already delivered the impatient infant inside the the family SUV. 6.) From left to right: Hugo Chavez, Vanessa Chavez and Bronson Chavez.